Grafted tree. Choicy self-fertile variety of cherimoya or "custard apple". It is a small subtropical tree, native to high-elevations in Central and South America where frost occurs. Fruits well in the Mediterranean. 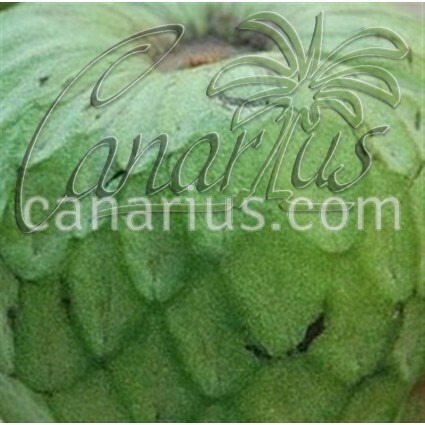 Annona cherimola cv "Madeira" is up to 8 m (26 ft), with a short trunk and wide and rounded top. Choicy self-fertile variety of cherimoya or "custard apple". Being self-fertile means that it one single plant can produce fruits but it produces better if you hand-pollinate it. 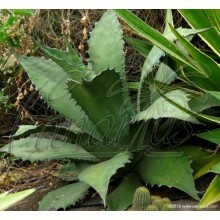 It can be trained to grow in large pots and can set a few fruits. It is a small subtropical tree, native to Central and South America. The name is derived from the Quecha word "chirimuya" that means "cold seeds", probably related to its ability to grow up to altitudes of 1900 m (6.000 ft). Annona thrives in Mediterranean climates. For example, in Europe, there are commercial plantations in South-Eastern Spain and Southern Italy, but of course it is also grown in Portugal and Greece. It is deciduous, but in regions with soft winters it becomes a facultative evergreen. 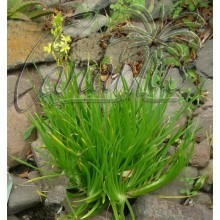 It has alternate oval leaves with hairiness in the back Flowers grow in groups of 2-3 or solitary in the axis of leaves. The fruit is highly perfumed, heart-shaped with a thick, pale green rind. Inside, its flesh is creamy white and delicate, containing a variable number of large inedible black seeds. The fruit is mostly available in winter and can be used fresh, for salads, sauces, drinks, desserts and ice cream, with a high content in vitamins A and C, calcium and phosphorous. 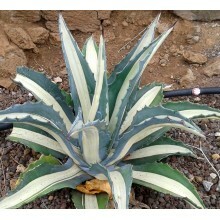 The size of this plant is: a grafted plant, 40-60 cm tall. 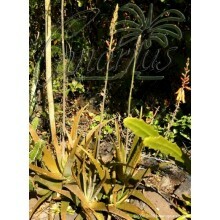 Height and size is variable since new plants are grafted once or twice a year, usually in spring.